Tube rotators can come with a variety of adapters to suit any of your mixing needs. Whether you need to hold beakers, conical tubes, or even a mixture of several different sized vessels at once, there are suitable adapters available for many of the rotator options. There are even options available for those who are seeking both a rotating and rolling mixing feature. 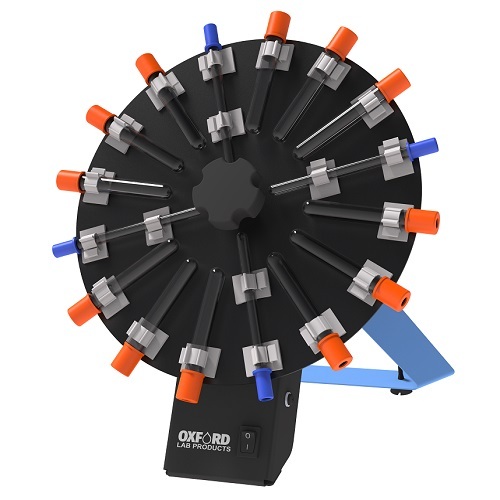 These dual format rotators are uniquely designed hybrids that provide the benefits of both a rotating and rolling motions, ensuring complete mixing end-to-end. 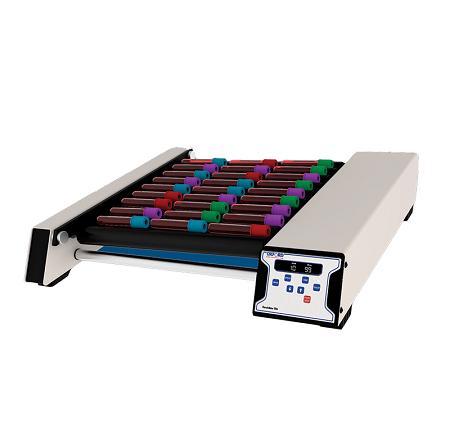 Tube rollers are a gentle way to mix a sample thoroughly. 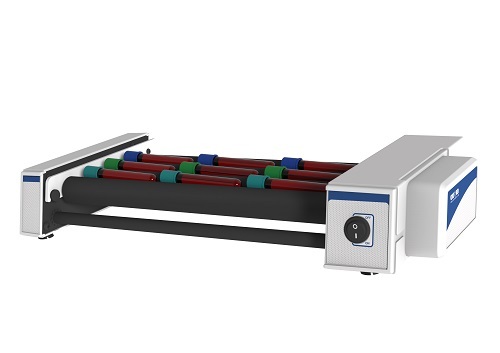 Designed to be compact and capable of rolling several vessels at once, tube rollers are safe to use in CO2 and humid environments. Many models are designed to have one side slightly more elevated than the other. This offset height creates a gentle up and down motion called a “wave” effect and guarantees than an entire sample is subject to complete and thorough mixing. Providing homogenous mixing and uniformity, tube rollers are ideal for the gentle mixing of a variety of container sizers. 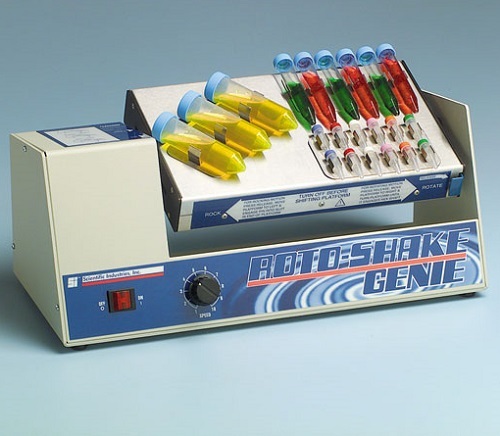 Pipette.com offers rollers and rotators from Benchmark Scientific, Labnet, Oxford Lab Products, and Scientific Industries. 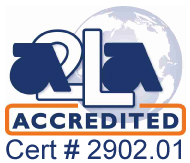 Learn more about tube rollers and rotators here. 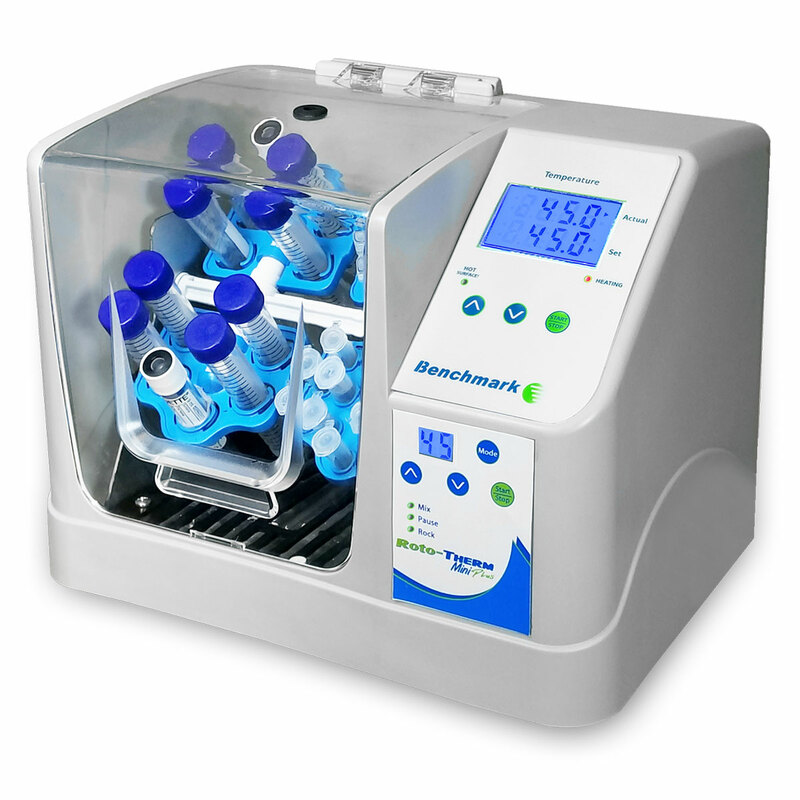 Benchmark TubeRollers are designed for the gentle, thorough mixing of a variety of containers, including Vacutainers™, bottles, test tubes, centrifuge tubes and roller bottles. 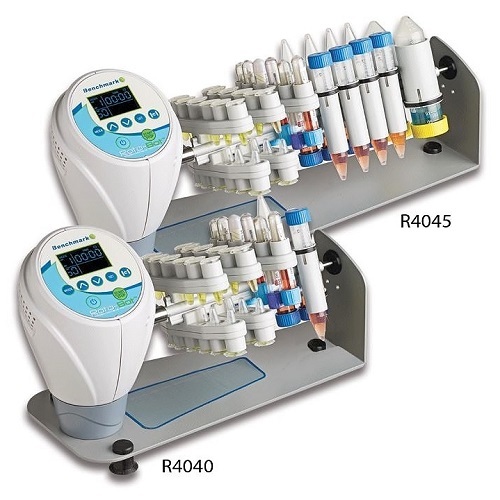 Digital laboratory tube rotator with adjustable speed and tilt angle. 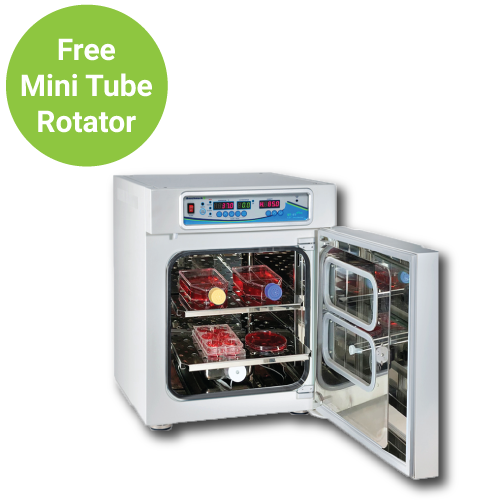 The RotoBot™ Rotating Mixers feature advanced programming options that far surpass that of the traditional laboratory rotator. 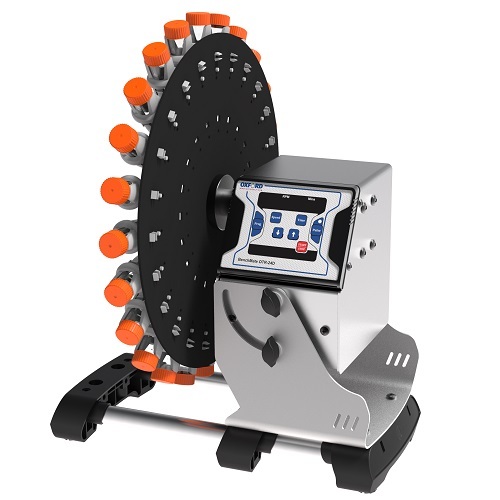 With digital speed control and more than 10 operating modes, the RotoBot can be selected to perform a wide variety of rotating, mixing and vibrating actions. 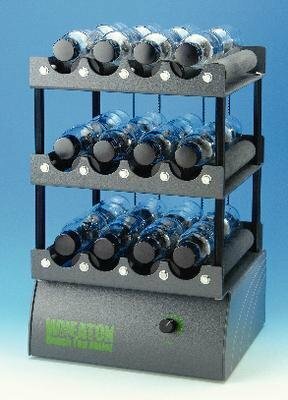 Designed to provide variable speed rotating in a compact, durable and user-friendly unit. 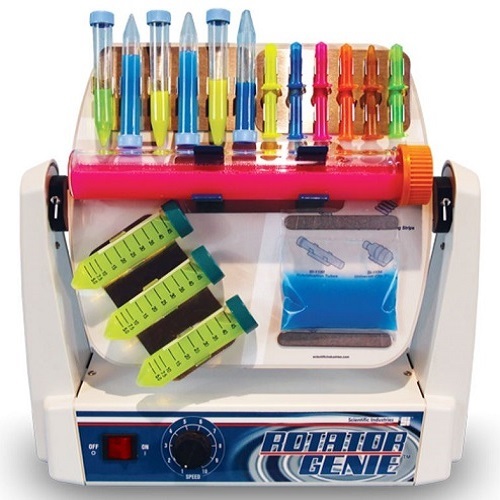 Scientific Industries, the maker of the Vortex Genie, combines rocking and rotating in one rugged and versatile design. 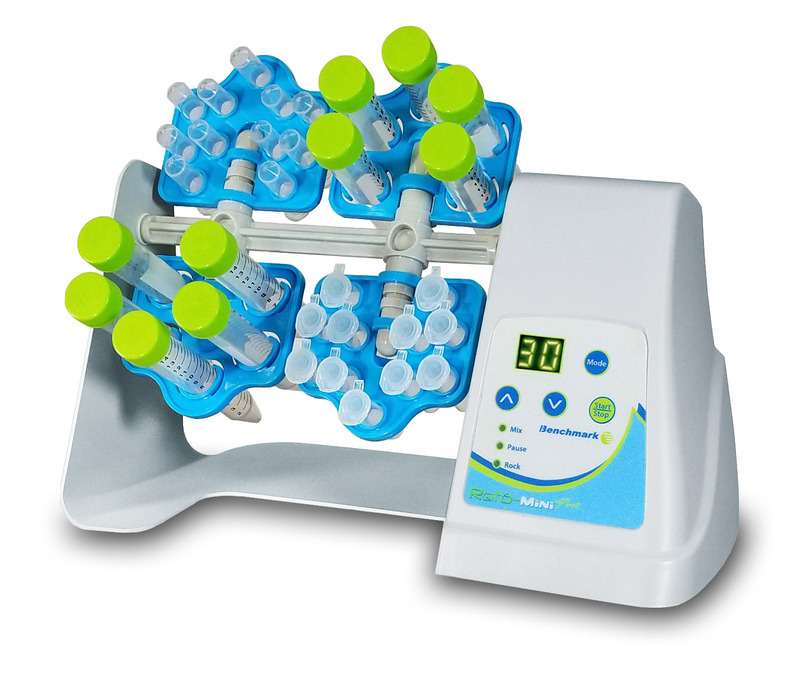 Labnet LabRoller Rotators can be used on the bench for general mixing applications and Western blotting. They can also be placed in temperature controlled environments, from 4 to 65C, expanding their use to Northern and Southern hybridizations. 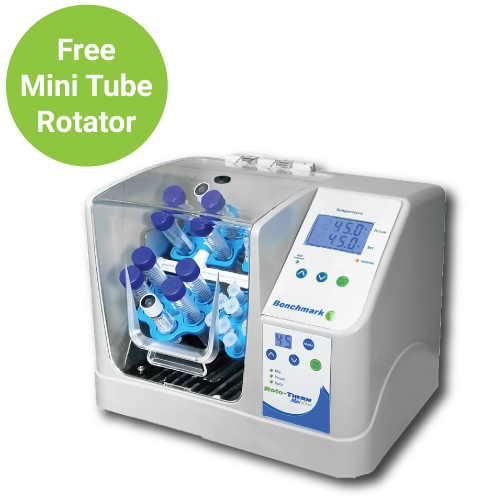 Simple, yet versatile, the Mini LabRoller Rotator is designed for mixing samples in both a horizontal and vertical plane. 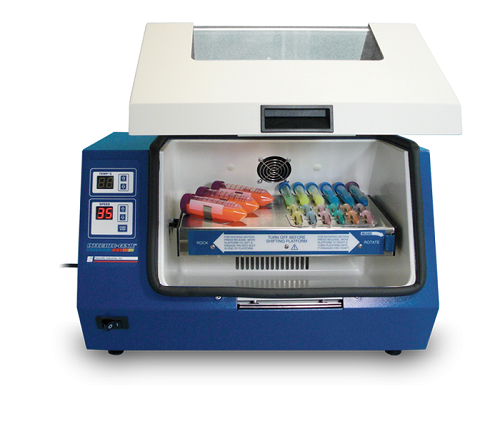 The unit accepts a broad assortment of tube sizes as well as micro plates. 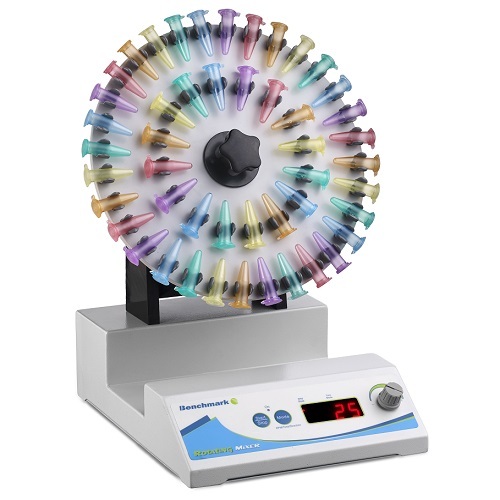 Benchmark Scientific’s Roto-Therm Incubated Tube Rotators provide a rotated mixing environment with temperature control. 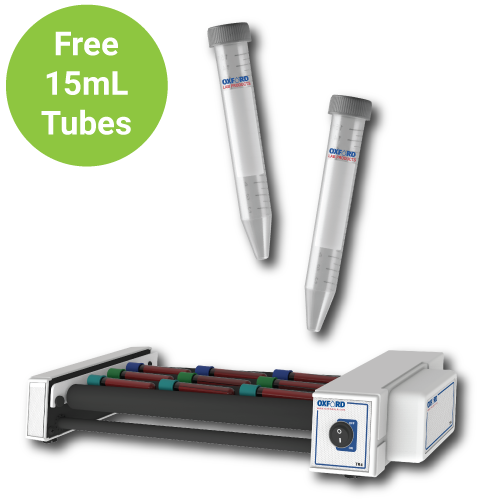 Offering variable speed mixes and can hold most common tube sizes, the Roto-Therm is suitable for any lab.